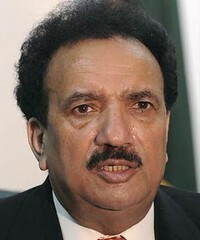 Truth by Kbaig: “UN Report on Benazir Tragedy” A Tactic to Pressurize Pakistani Army? 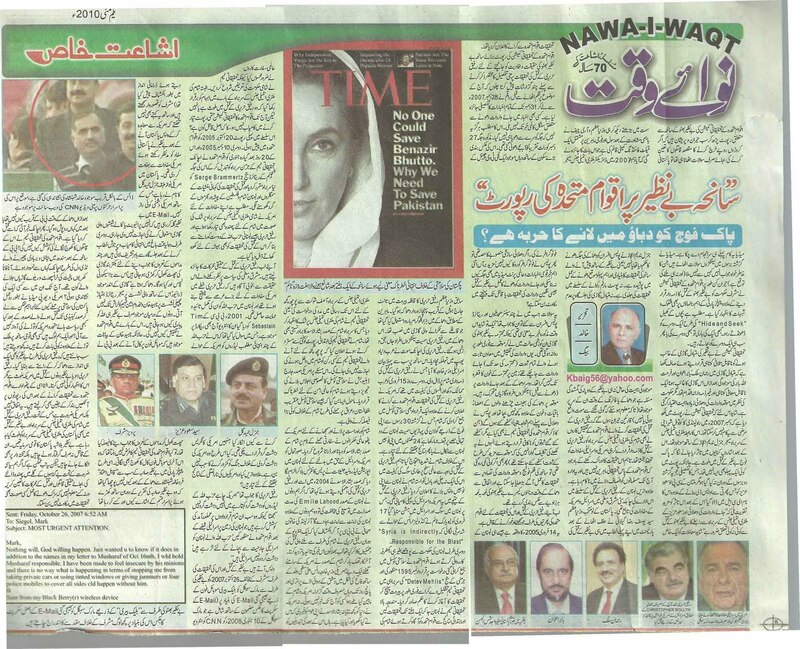 “UN Report on Benazir Tragedy” A Tactic to Pressurize Pakistani Army? Everyone is astonished after reading the report of UN Investigation Commission on Benazir Bhutto’s tragedy, that if the purpose of spending of millions of dollars was just to raise questions in spite of finding murderers, the Pakistani media had already done that. Media has raised hundreds of questions in last for which no satisfactory answer have been given in last years (neither there is any hope that any satisfactory answer will be given). Astonishingly UN Investigation Commission has not only Musharaf govt. for murder of Benazir but also expressed concerns about important leaders of People’s Party. Means like children’s game “Hide and Seek” keep searching for each other. Sometimes it is one’s turn or everybody tries to save each other. Investigation report has clearly written that disappearance of alternative vehicle and presence of Rehman Malik, Farhatullah Babar and Babar Aiwan was an unforgivable negligence and act. But in the eyes of govt. the washing of the spot became more important. Perhaps because UN Investigation Commission writes that SSP Police of Rawalpindi cannot do that on his own. He (SSP) was in contact with Chief of Military Intelligence Major General Nadeem Aijaz. After this, silently it was expressed that Pak-Army is involved in the murder of Benazir. Although there was no single aspect in this report which has not been analyzed in detail during past two years. But with the haste CPO Saud Aziz (Multan) was degraded to OSD and his name has been included in ECL, it shows this hypothesis got further support, “there is some relationship between Saud Aziz and Chief of Military Intelligence”. Perhaps after seeing that matters are going in a specific direction Prime Minister and Army Chief had established a fact finding committee consisting of Civil and army specialists. The committee will establish whether Director Military Intelligence Major General Ejaz Nadeem had ordered police officers to wash the scene or not. The basic and important element in the incident of Benazir is washing of place of incident. Neither there is any investigation on avoiding post mortem nor non-availability of stand by vehicle or missing head sheet (Dopatta) of Benazir that would help in evaluating myth of bullet strike). Readers may be perplexed that UN investigators accused Syrian Intelligence Chief in Rafiq Hariri’s Case to safe guard US and Israeli interests. 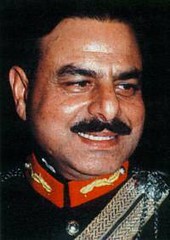 Newly elected prime minister of Pakistan, Yousaf Raza Gillani announced UN investigations of Benazir’s Case in his first parliamentary address despite the facts that UN did not have any expertise, this organization had failed providing justice to Muslims and performance of UN in Rafiq Hariri’s case was subservient to US and Israeli interests. Before I discuss validity of UN commission report on Benazir’s case in the light of details from Rafiq Hariri’s case, I must inform my august readers that I have searched through all newspapers of from 28 to 31 December 2007 and could not find any news item on the issue of washing of place of the incident. However, this does not mean that the place has not been washed. The said place was washed at 9’o clock 27 December 2007. It was also filmed by a journalist of private TV channel. If washing of the place of incident was part of conspiracy than why police did not stop the journalist. Further, why this could not find any place in international and local media despite the ‘face’ that it could hinder investigations or getting to the murderer. I asked these questions from senior journalists and retired police officials. The answer was: first, may be this news did not have any weight because the vehicle carrying Ms. Benazir Bhutto had been moved. All the evidence limited to Benazir was not on the scene. Second, hundred of vehicles have passed over the place of incident before it was washed. There was nothing left except the limbs and body parts of the victims. Police would have gathered relevant evidence before washing the place (UN investigation team has also mentioned this, however, they have declared these insufficient and have failed to explain how extra evidence could have been gathered from place of incident). Even if there is lack of evidence, live footage of the incident and photographs can be made use of. Fortunately¸ moment by moment activities of Benazir were being filmed by dozen of cameras. Now let’s discuss Rafiq Hariri’a case and efficiency of UN investigation team. It happened on 14 February 2005. An explosion occurred when ex prime minister of Lebanon, Rafiq Hariri’s motorcade reached near St George Hotel. As per the experts, a thousand kg of explosive was used in the vehicle that has hit the motorcade. In this incident hundred of people were killed and injured including the ex prime minister. This incident created sensation in Arab European worlds. Israeli foreign minister was the first one to speak on the incident who blamed Syria. Arab countries were in the state of shock when USA not only announced UN investigations of Rafiq Hariri’s murder and presented a resolution on UN Security Council demanding withdrawal of Syrian forces from Lebanon with the ultimatum that Syria should withdraw its forces within 24 hours or else be ready for the consequences. Syria protested strongly to no avail due to charged international environment due to Rafiq Hariri’s murder. Syria announced withdrawal of its forces. This was a big success for USA and Israel as a result of this incident resulting into mourning in Lebanon and jubilation in Israel. On 17 February New York Times reported in reference to Condoleezza Rice “Syria is indirectly responsible for the blast”. UN Security Council passed resolution number 1595 on request for UN’s investigation even without consulting Lebanese Government and ordered an inquiry commission under German judge Detev Mehlis to Beirut. The investigation team did their job for a week and reported UN that requested access to Syrian Intelligence Chief Asif Shoukat for questioning. That means expressed thire doubts on brother in law of Syrian president Bashar al Asad. Syria rejected the initial report of investigation team and announced the no member of the team will be granted entry into Syria. US president George Bush requested a special meeting of UN Security Council and labeled Syria a threat to international peace. it seemed that Security Council is going to decide for an attack on Syria as Afghanistan and Iraq in such an environment. Some rulers, jockeys of USA, started threatening Syrian president Bashar al Asad in the garb of diplomacy. To increase the pressure, Lebanese opposition leader, Waleed Jenilat accused Syrian president in a press conference of threatening him and Rafiq Hariri in 2004. He also claimed that they were threatened dire consequences for whole of Lebanon if they opposed extension in presidency of Lebanese president Emile Lahood. An Irish journalist also stated on BBC that Rafiq Hariri has also mentioned of Syrian threat in an interview. Who can verify these claims? At last, Syria gave in. US foreign secretary landed at Damascus Air Port with a large entourage as a victor. She spent five busy days over there. No body knows what all was agreed between Syrian and USA. Neither USA told anything to the world nor did Syrian president inform his nation of any thing, loss or gain. However, diplomats felt the change. Investigation team started praising cooperation of Syrian government. The ambiguity about involvement of Syrian Intelligence Chief in Rafiq Hariri’s case was maintained. UN investigation team has failed to conclude their report that who is actually responsible. First report was presented on 20 October 2005. 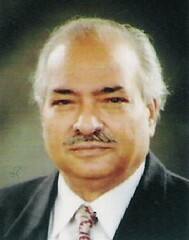 Second report was presented on 10 December 2005. After 20 days i.e. 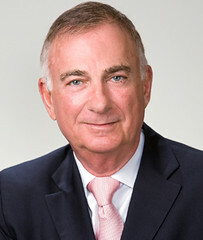 11 January 2006, UN changed German head of the team with a Belgium’s retired judge, Serge Brammertz and story of murder was turned towards drug smugglers and criminal groups of Syria, Lebanon and Palestine. To be clear, USA is ready with a noose for Syria in shaped accusation on its intelligence chief and has also removed Hizbollah friendly Rafiq Hariri with no progress in investigations. Let’s examine real motives of Rafiq Hariri’s murder. All those who are interested in developments Middle East know that Rafiq Hariri had been a challenge for US interests in the area and Hezbollah enjoyed his support. His interview by Tim Sebastian of BBC is still on record in which he was asked why he refused handing over of wanted Hezbollah leaders to USA who had been declared terrorist by US Congress. Had he not been weakening US war against terrorism? Further is he ready for results of annoying Americans? Rafiq Hariri answered, “USA may be calling Hezbollah terrorist but I do not consider them as such because they are trying to implement UN resolutions passed after Israeli occupation of Lebanese territory, they fighting against Israeli aggression”. Let’s get back to Benazir’s Murder case and its investigations. 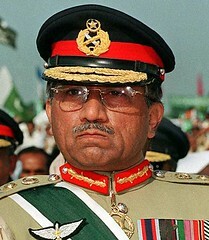 Opponents of Musharaf’s government consider Musharaf responsible for the murder basing on an E mail sent by Benazir Bhutto to Mark Seagull from her Black Berry cell phone on 26 October 2007 (it was presented by Mark Seagull in a dramatic way in an interview on CNN). They also claim that Benazir has renounced her earlier agreement with USA for her return for the larger interest of Pakistan. 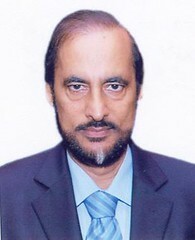 US allied groups in Pakistan are naming General retired Hameed Gull who has earned ire of USA. In E mail, Benazir appears to be complaining of prevention of use of private vehicle with tinted glasses. On the other hand, she exposes herself by standing out of vehicle to answer her voters after a successful and exciting speech in Liaqat Bagh. What else could be called a security lapse? Major retired Imtiaz on front seat, Naheed Khan and Makhdoom Amin Fahim on back seat and driver remain scratch less after the explosion. Why only Benazir is hit amidst the two? Why UN team has not investigated this? According to Naheed Khan, Benazir decided to expose herself by opening the upper latch and standing above the vehicle after a call on her cell phone. Was it not the duty of investigation team to look into her cell phone and last call? Why her trusted employee Khalid Shahnshah has not been investigated that why he was acting strangely and trying to communicate with whom. Why he was not closer to the lady or where has he disappeared? He has been known to be murdered soon after? Why UN team has not searched for his murderers? From where the looters and saboteurs appeared in Sind who destroyed transport and railway worth billions of rupees? No one has been named so far. Why US and European media started pointing on Pakistan’s security? Was there any idea of dividing USA after murder of Abraham Lincon or Kennedy? On the other hand we people only think and talk of dividing of country after every national tragedy. 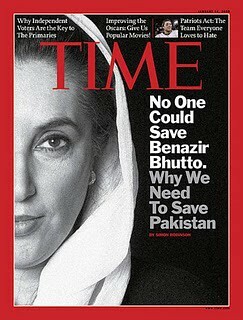 Every body knows that Benazir was exactly removed through an explosion as in case of Rafiq Hariri. USA is involved in both the cases but no body mentions it. Contrarily, the institutions jockeyed with USA believe the UN reports without questioning. It is not a coincidence but US requirement that intelligence chiefs of Syria and Pakistan should be named as suspects. No doubt, Benazir was a national honor. Her murderers should not only be caught but hanged as well. But it is only possible when instead of fitting the noose around innocent necks as per political requirements, we search and catch actual murderers and fix the motives of murder. Else every body knows that washing of the scene in no way hinders investigation process.